Cranbrook has a stately presence and classic feel. 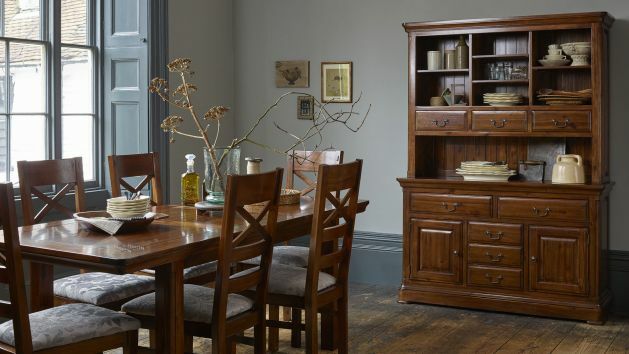 This is a timeless range built to impress in striking dark stained hardwood. Cranbrook is a striking range, designed to impress in solid hardwood. The dark stained finish adds a stately feel to each piece, perfectly offset by antique brass hardware. Signature design details include the flared cornices on top, deep pedestal bases and gently rounded corners that add to the overall quality of each piece. The stately style of the range is perfect for modern homes. The brass-toned drop handles capture the classic styling of Cranbrook and help to bring out the warmth in the dark finish of the wood. Our home delivery team will bring your order to the room of your choice, plus we offer various finance options if you would rather buy now and pay later.